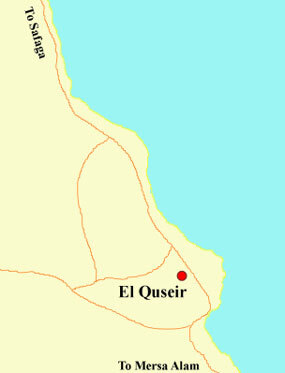 Once one of the major ports on the Red Sea coast, Quseir was where Queen Hatshepsut set off from on an expedition to the mystical African land of Punt. On top of that, it was also a major point for pilgrims leaving for Mecca, as well as a significant trade route for spices from India to Britain. 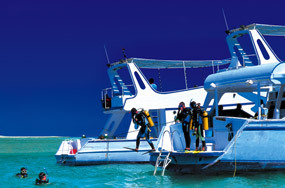 Today, Quseir is better-known as a first-class diving destination. It is also home to a number of attractions, including Wadi Hammamat and Bir Umm Fawakhir, both of which can be reached within a day. At one time, about 1,000 Coptic Christians lived in this town, extracting gold from the surrounding mountains, which was then transported to the Nile Valley for refining. The settlement’s largest mine extends horizontally for approximately 100 metres into the mountain and is about two metres high. Today, the neatly-laid-out buildings can be examined by visitors, who can also ponder over and the ancient inscriptions etched into granite boulders at the town’s guard posts. Wadi Hammamat has hundreds of rock inscriptions, some of which date back to 4000 BC. During antiquity, it was famous for production of the Bekheny Stone, a beautiful, green ornamental rock, whichwas considered sacred. The stone was actively quarried from Pharaonic until Roman times to make bowls, statues and sarcophagi, many of which have been found in the Pyramids, graves and temples of those periods. 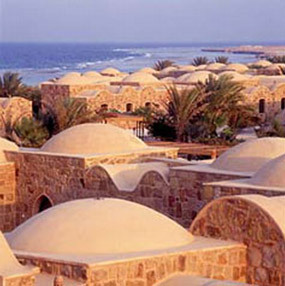 A little to the north of Wadi Hammamat, in the central part of the Eastern Desert, lies Bir Umm Fawakhir, a gold mining settlement from the fifth and sixth century.